Hey, guys! 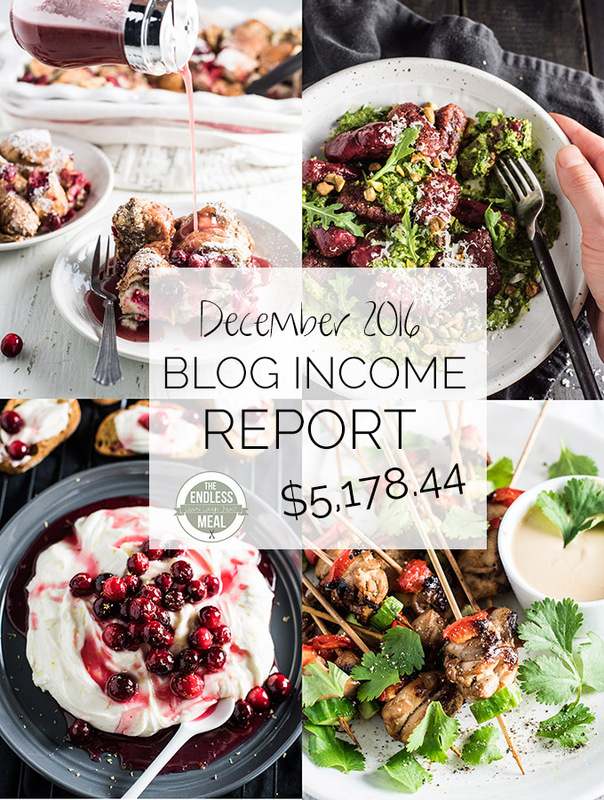 This is December's edition of the Food Blog Income Report series. In case this is the first time you're here, it's the one time each month that I give you a rundown of the behind the scenes happenings here on The Endless Meal. From a person perspective, this is an extra exciting month for me as it's the most TEM has ever earned in one month. There are two main reasons for the big jump in income. One is that December is always the best month to be a food blogger. 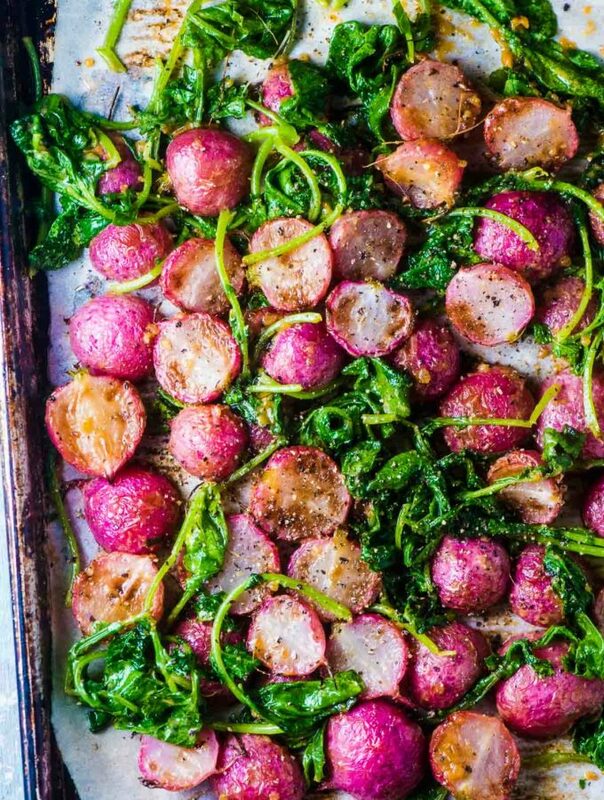 With the holidays and all the entertaining that goes along with them, the internet is out of control with people searching for recipes. The second reason is that ad agencies are trying to blow their budgets before the end of the year. This means higher prices for ad spaces and more sponsored posts. Typically, what happens after the big December spike is a giant drop in January. It will feel a little sad after the high of December, but if you're a food blogger, you know to brace yourself for it. Along with the income and expenses report, I'm also going to share with you a few tips. This month, let's talk about updating your blog's older content and how it can lead to a serious boost in drive traffic for those posts. You may be familiar with the Throw Back Thursday posts that come out each month. On the first Thursday of every month I share with you an old recipe that I have remade and rephotographed. 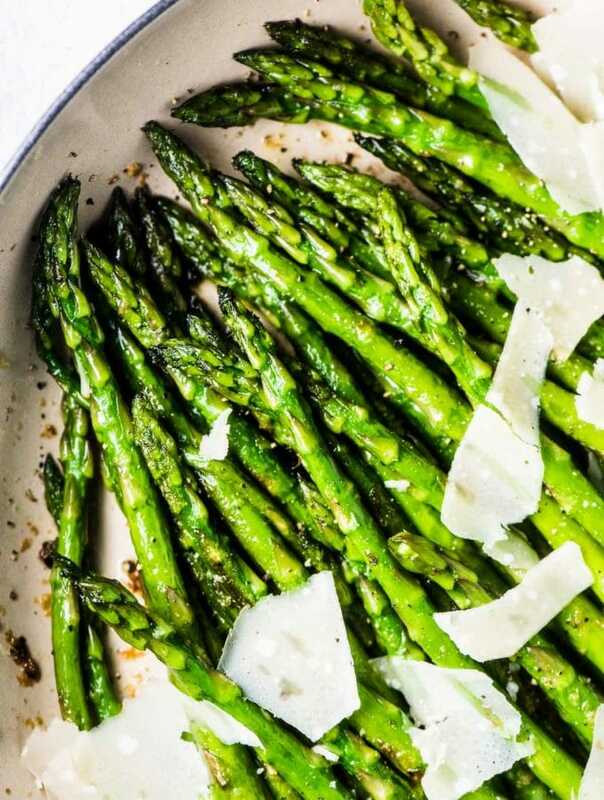 I rewrite the recipe to make it more clear, scan the post for any grammatical errors and to see if I can make any small changes that will boost SEO. Typically, updating older content is much easier and less time consuming than creating new content. You have already created the recipe and written the post, so you can scratch those two off your to-do list. Running a blog is a lot of work and this little timesaver can be invaluable. When people come to your blog, you want them to see a true representation of what your blog is like. In my case, many of my old recipes do not represent me well. 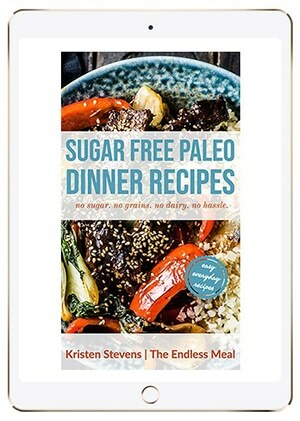 The images are poor, the recipes are hard to read, and there are often grammar errors and typos. It's not the image I want to portray. In order to find the balance between keeping the history of the blog and having it represent well, I've chosen to write an intro to the Throw Back Thursday posts as well as include the old images at the bottom of the post. Updating your older content can drive A LOT of new traffic to the post. The first time I shared the recipe for Homemade Turkey Soup was on November 21st, 2011. The second time, when I updated the photos, rewrote the recipe, and optimized the SEO, was on November 3rd, 2016. Have a look at the screenshot below. You can see, that other than a few tiny blips in the chart around November-December 2014, the line is essentially flat until the update. I highly encourage any food blogger that has been blogging for more than a few years to have a look at your older posts. If you see any that make you cringe a little, redo them. It's a simple time investment into your blog that can have a big payoff. Thank you for reading this month's Blog Income Report. If you have any questions at all, don't hesitate to reach out in the comments below! Hi Kristen, congrats on a profitable December!! Do you actually re-publish the old posts, or just update them (so the date stays the same)? I’ve never tried this, but I’ve already been considering it as some of my earlier stuff leaves much to be desired haha. I’m assuming the permalink stays the same? I do re-publish them. I’ve found it helps to bring the posts to the front page again. I follow all the same steps as I would if it were a new post … Send out an email about it, pin to Pinterest, post on all social media. As far as the permalinks go, it really depends how bad they are lol. Some are terrible! The ones that are really long I change and use Pretty Links to direct the old url to the new one. Ah ok, thanks for the explanation!! Wow! How do you get upwards of 20k people to look at a page? SEO is a big thing – I’m going to get into that more in next month’s post. Basically, I use Yoast SEO and follow all of their recommendations. Timing was right with the turkey soup recipe so I think that’s another reason it took off. 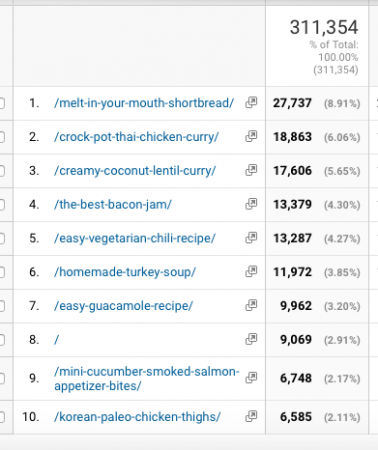 Both Google and Pinterest give preference to posts that people are engaging with. I think what happened is that, right from the start, people started engaging with the post and so both mediums ranked it higher.